Road trip! Any time is the perfect time for a road trip, wouldn’t you agree? We’ll find no better place for a road trip than in PA, especially with its breathtaking landscape. 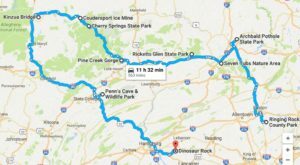 So pack your suitcase, load and gas up the car, and hit the highway on an epic road trip that will take you to the seven wonders of Pennsylvania. 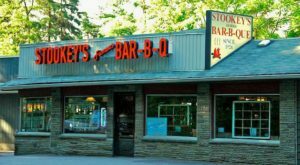 Click here for directions to the seven wonders of Pennsylvania. 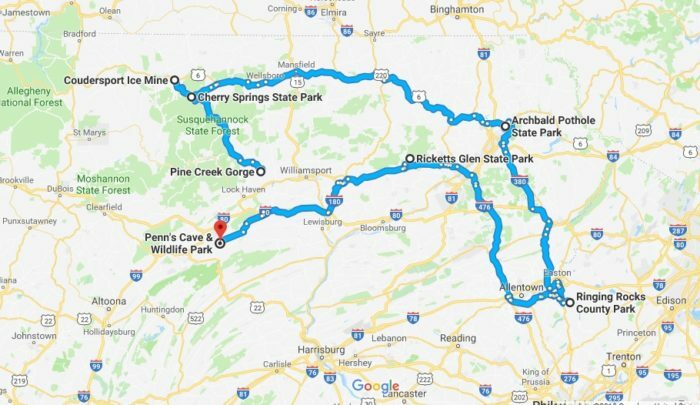 Pack up the car and set the GSP for this epic road trip to the seven wonders of Pennsylvania, which spans just over 515 miles. Follow the road trip as it is. Or, make changes to fit your interests and needs. Whatever you do, just have fun! First stop: Pine Creek Gorge. 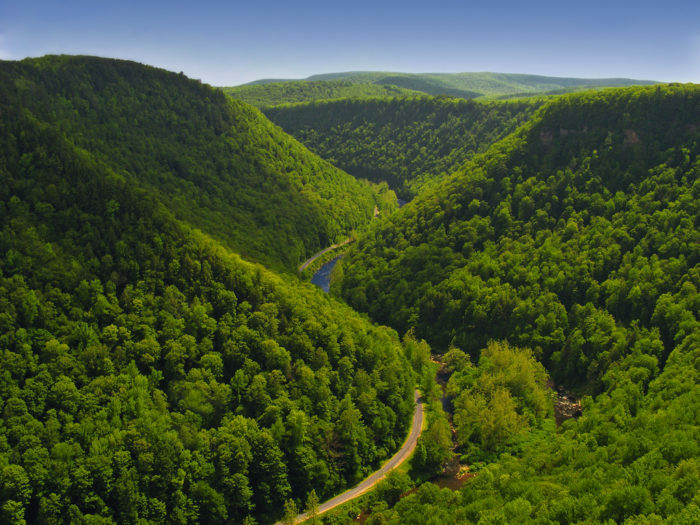 Commonly known as the Grand Canyon of Pennsylvania, Pine Creek Gorge spans 160,000 acres with a depth of more than 1,400 feet. Drink in breathtaking views of the natural wonder from scenic vistas at Leonard Harrison State Park or Colton Point State Park. 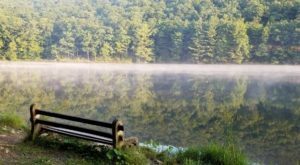 Or, embark on the Turkey Path Trail at Leonard Harrison State Park. The 1.7-mile trail will take you past spellbinding waterfalls and to the bottom of the gorge. Summer's the perfect time to visit Coudersport Ice Mine. Of course, you might think that the mine would form massive icicles during the frigid temperatures of the winter, right? Not at the Coudersport Ice Mine. 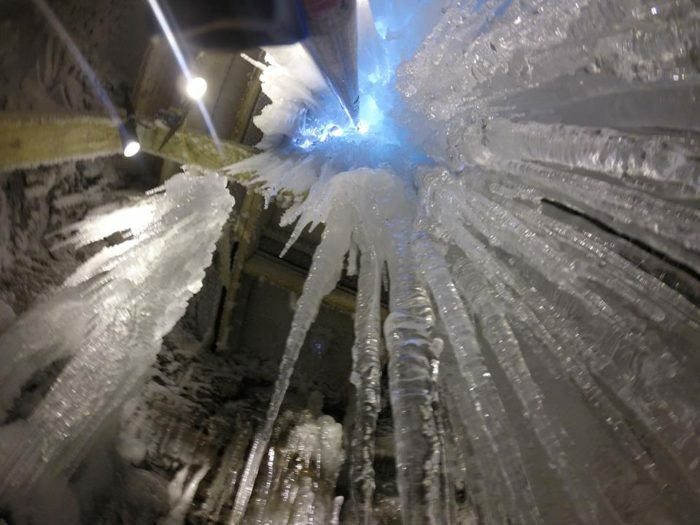 Instead, ice begins to form in the 10 feet long, 8 feet wide, and 40 feet deep mine during the hot days of summer. In the winter? The ice pretty much disappears. Coudersport Ice Mine welcomes visitors and, after you've checked out the mine, treat yourself to a snack from the gift shop. 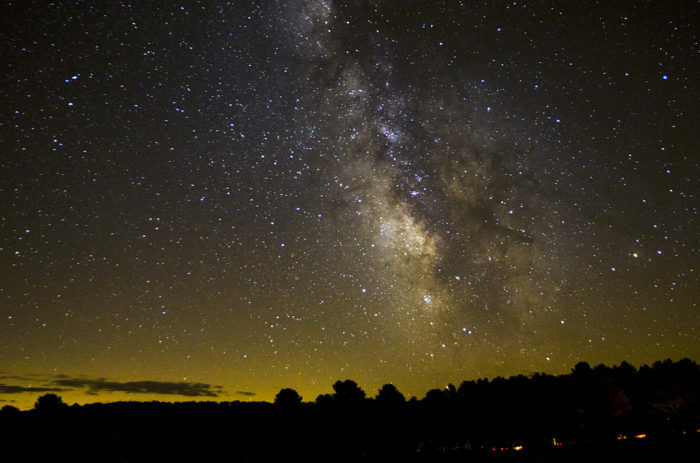 Sit back and gaze up at the stars at Cherry Springs State Park, the darkest spot on the Eastern Seaboard. 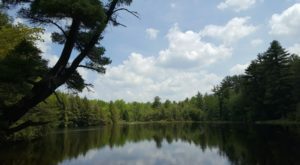 Sat atop a 2,500-foot mountain and surrounded by undeveloped forest, Cherry Springs State Park provides an idyllic spot - without light pollution - for stargazing all year around. The park offers two viewing areas: One for casual stargazers and one for serious astronomers, the latter of which allows for overnight stays. We, Pennsylvanians, know a little something about potholes, right? Well, it's only fitting, then, that the world's largest pothole reside in our fine state. 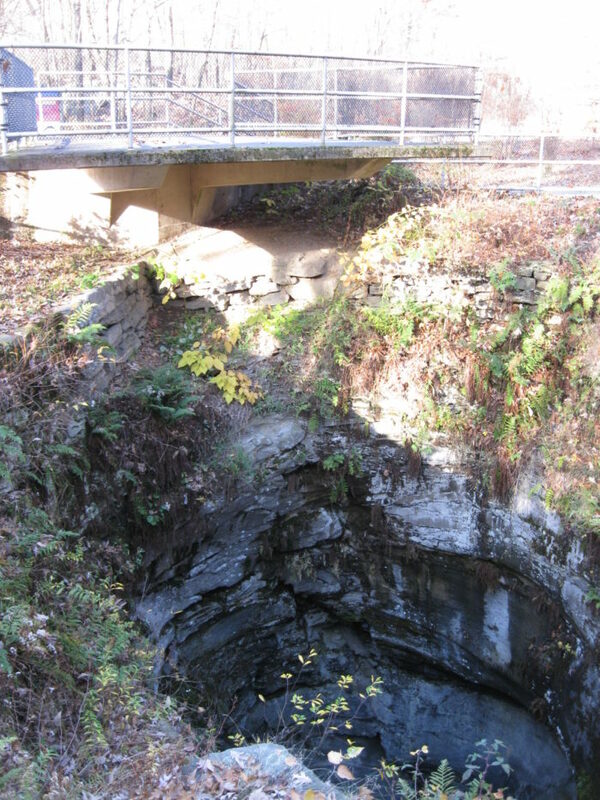 Tucked in Archbald Pothole State Park, a small park of only 150 acres, the massive pothole measures 42 feet by 24 feet at its widest point. And, it boasts a depth of 38 feet. It's so big that it could easily hold 35 fire truck tankers. 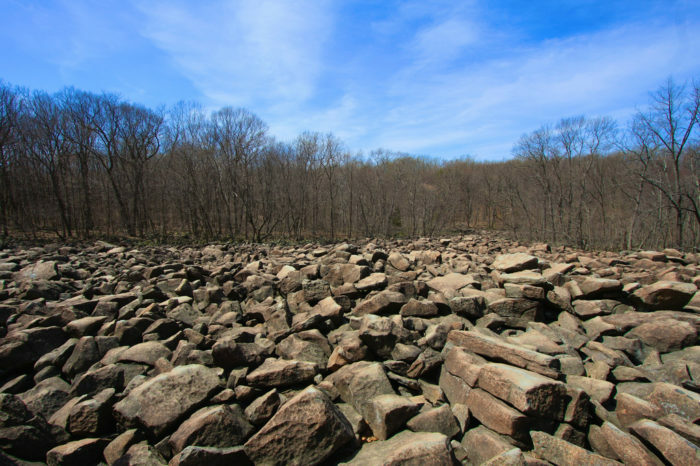 Pack your hammer for our next stop, Ringing Rocks County Park, a cozy 123-acre park that boasts a field of boulders. But, this isn't your typical field of large rocks. See for yourself. Take your hammer and hit one of the boulders. And, listen to the melody the boulder makes. Scientists still have no idea why the rocks "ring" when hit with hammers. And, while you're at the park, stop by the largest waterfall in Bucks County. Waterfalls just might be nature's most perfect creation. 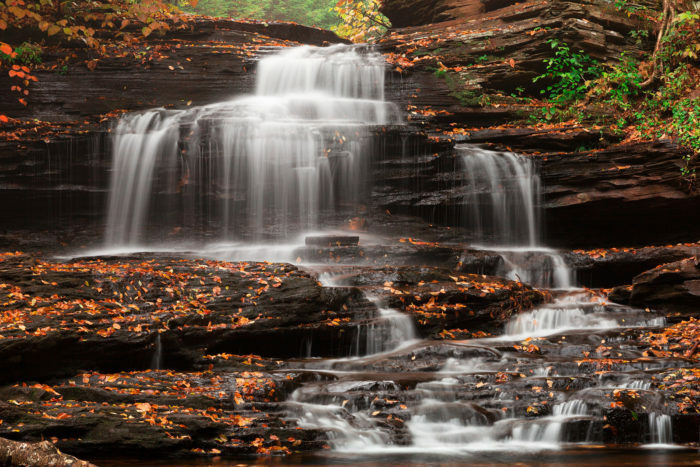 And, if you love waterfalls, you're going to absolutely love Ricketts Glen State Park, home to 22 named waterfalls. 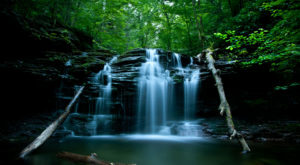 Embark on the 7.9-mile Falls Trail to see 21 of the waterfalls, including the 94-foot Ganoga Falls. Wear sturdy shoes and take caution as the trail, especially near the waterfalls, can be wet and slippery. Our final stop takes us to the only all water cave in the United States. 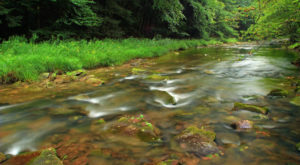 Penn's Cave and Wildlife Park promises a full day of excitement. 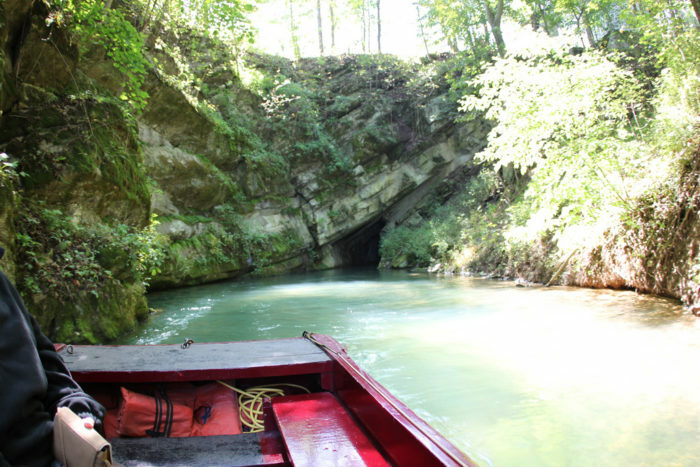 Tour the limestone cavern by boat. Then, head out on a wildlife tour. Go panning for gemstones. And, find your way out of Miners Maze. Penn's Cave also features Cave Cafe, a gift shop, and a visitors center. 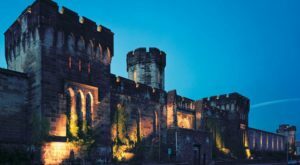 How many of the seven wonders of Pennsylvania have you visited? Let us know in the comments! 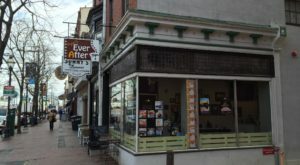 And, if you like road trips, hit the highway on this road trip that will take you to some of PA’s most charming small towns. Click here to read more.